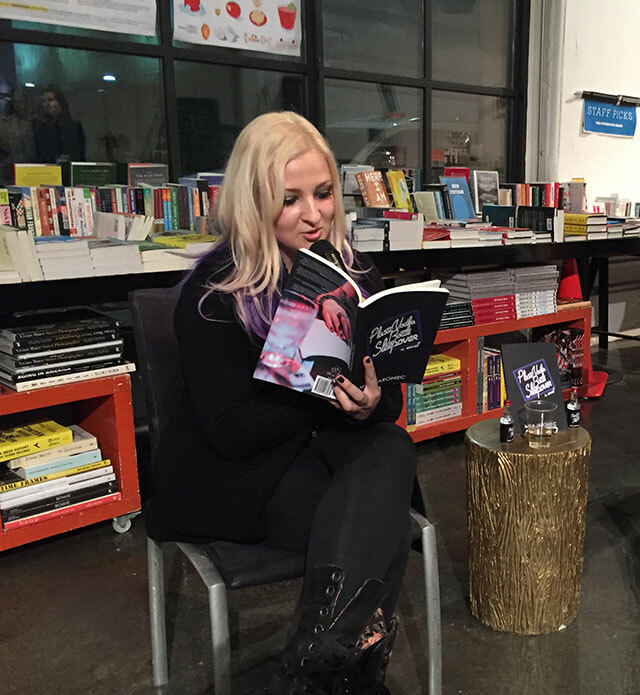 Mila Jaroniec was back in Brooklyn last week for the launch of her debut novel Plastic Vodka Bottle Sleepover. The novel employs a fractured story about an unnamed female narrator. 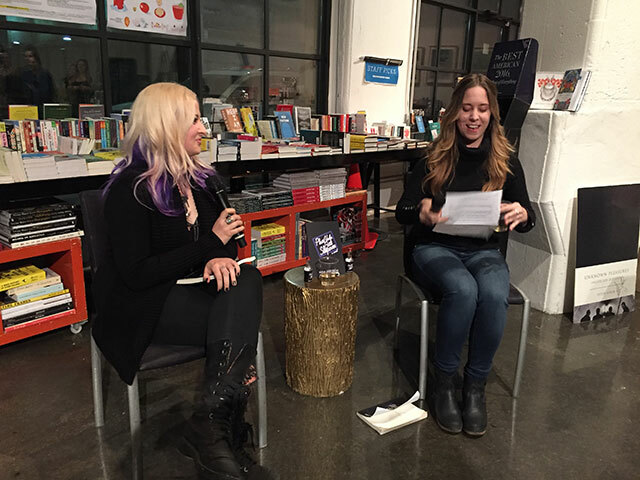 Jaroniec spoke with Chloe Caldwell, author of the essay collection I’ll Tell You in Person, at Powerhouse Books. Jaroniec worked at Powerhouse Books years while she was getting her MFA at the New School and working on the novel. She would sometimes write while working events at the store. Voice drives the narrative, Caldwell observes. Jaroniec explains she took inspiration from Julio Cortázar’s Hopscotch which can be read in different sequences. The plot is less important and Plastic Vodka Bottle Sleepover can be read out of order — but that meant putting more emphasis on voice. As an undergraduate, Jaroniec’s advisor suggested she wasn’t yet ready for an MFA program. She decided to attend one anyway, although in the end, that meant she was one of the youngest in her program. The New School accepted her, and she went because the English PhD programs she applied to had rejected her. She never expected to go to a writing program and she has a warning: if you plan on enrolling in order to be a writer, know that it probably isn’t going to work out. In the first year of her program, she says she thought she was writing short stories rather than a novel. While many of the short narratives eventually were integrated together, it was only later did it occur to her. As result, portions of the novel were written and workshopped while in in school, although not as a cohesive work. The book includes a lot of close zooming in on objects and things around the narrator. Jaroniec says she does this naturally — zooming in on the world around her. It’s the only way to really observe things. Jaroniec has published a lot of work with Thought Catalog. Her first article, 10 Things That Happen in a Lesbian Relationship, was a success, and eventually the website, not known for paying writers, began to pay her to write. She says at first, writing for the site was fun, but once she started getting paid she wrote a lot of bad things. SHe mostly discovered a type of writing she didn’t want to do. She always thought she would stay in New York City, but then she was out of money and had something of a breakdown. “Everyone is hustling,” she says of New York. Now she’s working on another novel as well as an essay collection. The essays are about working and jobs — many that people wouldn’t call real jobs.